Before starting, it should be pointed out that this Yu-Gi-Oh! GX boxset has many of the same problems as the sets for the original Yu-Gi-Oh! : yes, you do get a lot of episodes (52), but you can only have them in the English dub provided by 4Kids (now 4K Media Inc.); there are no subtitles, no DVD extras, the scene selection is rubbish, some of the accents used in the show are dodgy, and if you didn’t like the voice actors in the original show then you should also know that they reuse the same actors here. GX also has problems of its own, with the animation at times being so poor it is laughable. There are some unusual translations from Japanese into English, if you find the catchphrases of the characters annoying you will be annoyed in almost every episode, and the least said about the song in the opening titles the better. However, when it does something good, it does it well indeed, and the characters and scenario do give it some credit. GX is set a decade after the original events of Yu-Gi-Oh!. By this time, Seto Kaiba has created his own institute, Duel Academy, to teach the best young duelists all about the “Duel Monsters” game. 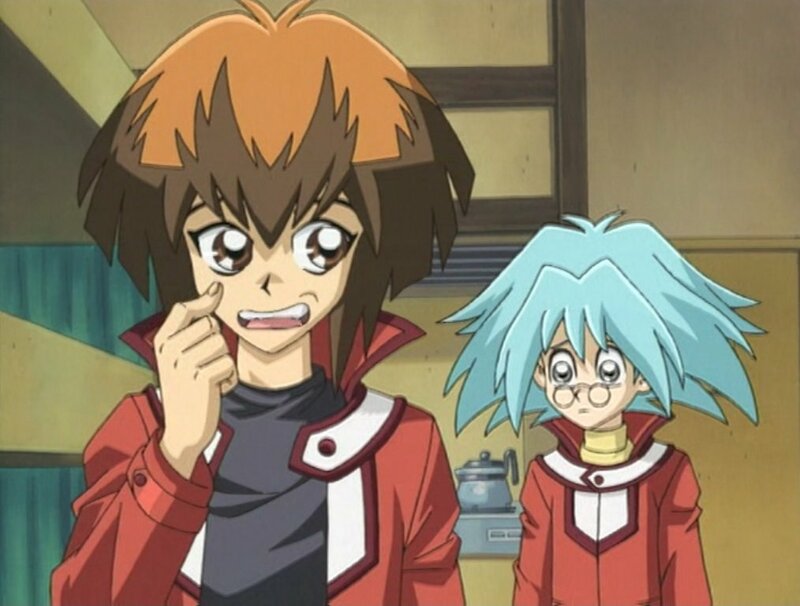 The series follows Jaden Yuki, who on his way to the entrance exam literally bumps into Yugi Moto (not that you see his face), who gives him a card for luck: a “Winged Kuriboh”, whose spirit Jaden is able to hear. At the exam, he manages to pass by beating one of the teachers in a game, the ugly and pompous Dr. Crowler, who instantly dislikes him for beating him. Jaden moves in to the school, but is put into the weakest of the three student bodies, “Silfer Red”, which has the fewest resources. He shares a room with a friend he makes on the day of the exam, shy and nervous Syrus Truesdale, and gluttonous dunce Chumley Huffington who has failed to graduate twice. There are all looked after by the eccentric cat lover Prof. Banner. At the beginning of the series, most of the stories concern Crowler trying to get Jaden expelled, often using students from his top student body, Obelisk Blue, to do his work. 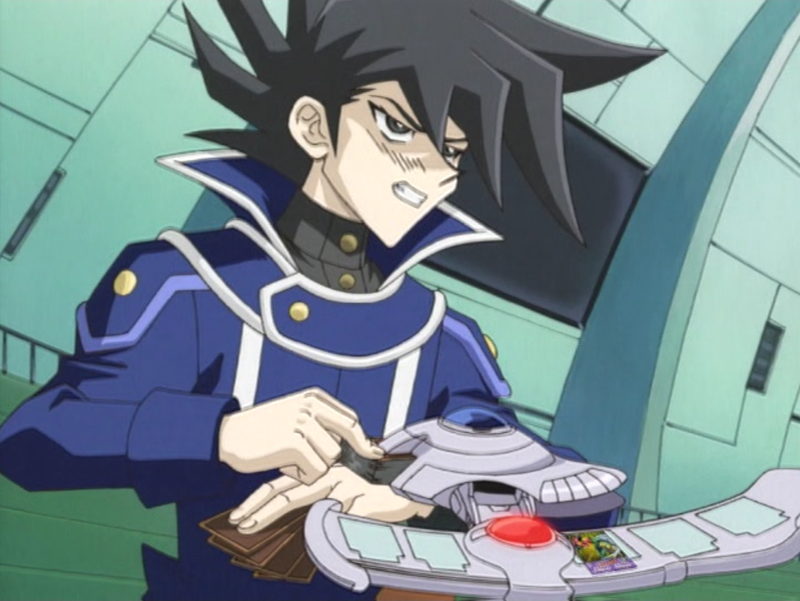 Among the students in this class are Chazz Princeton, who thinks all of the worst performing students should be kicked out and thus hates Jaden; Alexis Rhodes, a more kindly student who forms an interest in Jaden and whose brother Atticus is missing; and Syrus’s older brother Zane, the best duelist in the whole school. Aside from them, there is also the middle student body, Ra Yellow, whose main student is Bastion Misawa, a genius with the top grades who also became friends with Jaden at the entrance exam. The second half of the series is the more interesting, with the plot concerning a group of villainous duelists, the “Shadow Riders” who want to get their hands on three destructive cards, the “Three Sacred Beasts”, which are kept at the Academy. 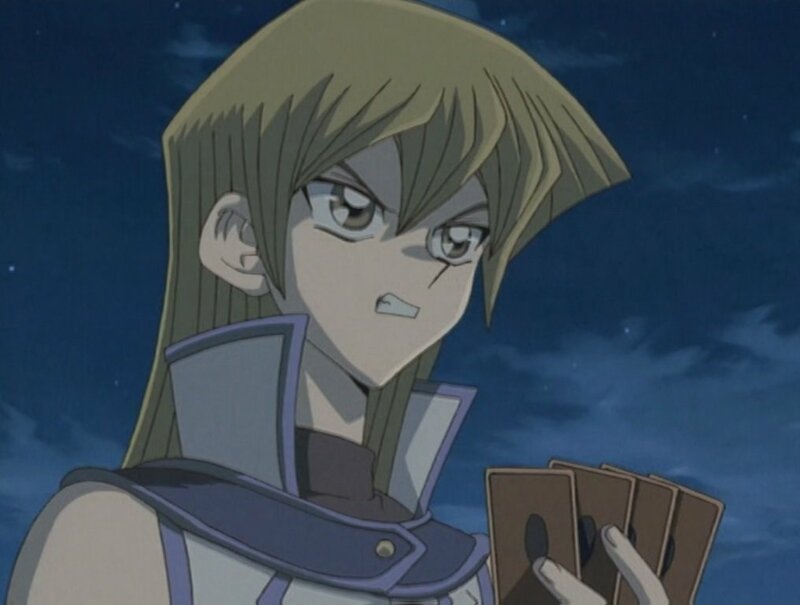 The cards are locked away and can only be accessed by seven keys, which are given to Jaden, Chazz, Zane, Alexis, Bastion, Crowler and Banner. As the story progresses, they find themselves having to take part in the “Shadow Games”, and one of the people controlling the keys appears to be a traitor. Let’s get onto the negative points first. Most of them have been covered in the first paragraph, but concerning specifically this collection there are some that stick out. For example, when it comes to the animation one scene in which Alexis walks is just done by shifting her animation cell up and across until she is off-screen. Nothing is done to realistically animate her movement. Meanwhile, the attempts to translate everything so it is understandable to American kids take some odd turns. For example, there is a scene where the characters eat rice balls, but these are translated into “stuffed pastries”. I personally have no problem with the catchphrases used in the programme, like Jaden’s “Get your game on”, although I suspect others will find them tiresome, especially with egotistical Chazz telling his fans to chant “Chazz it up” repeatedly. The opening title song though is just rubbish. But as I said, it is not all terrible. There is plenty to like about GX and the main thing that makes it likable is the characters. Jaden is a loveable idiot; Syrus is timid but approachable; Chumley has his own artistic talents; Chazz has an ego, but is dependable when it counts; and Alexis is kind and loving. Then you have the plot itself. When I first came to it I thought that the idea of having an entire school devoted to a trading card game would be rubbish and it would be mainly about trying to plug the game, but you don’t sense that when you are watching it. Perhaps it is that if you have already seen the original Yu-Gi-Oh! you have already created a sense of expectation around it. You know that it is not going to be the most enlightening anime you have ever seen, and you know that this show would not be here if it wasn’t trying to sell you the game, but because you know this, you know that you should treat the series as a bit of fun – in the same way you would treat the game itself as a bit of fun. As I have said before, this show is not as bad as other titles concerning trading card games, primarily because the manga came first and the game followed, rather than the series being created just to promote the game. Even the fact that GX is a sequel doesn’t make it as bad as some other series in my view. Another thing I’ve said before, is that I think that because you know that these series have so many faults, the best way to watch it is to turn the anime into a game itself, and to watch it as a drinking game, which again I have done. This time, I watched the third disc consisting of nine episodes, and again selected three key phrases on which I would drink every time I heard them mentioned. In this case I went with “Life points” because you are always going to hear it; “Elemental Hero”, because Jaden plays with a deck consisting of these kind of cards; and “Winged Kuriboh”, the card Yugi gave Jaden. Here, I heard “Elemental Hero” 39 times, “Life points” 10 times and “Winged Kuriboh” five times, getting through around 2½ pints of beer in the process, although I know I would have got through more had I picked different phrases. 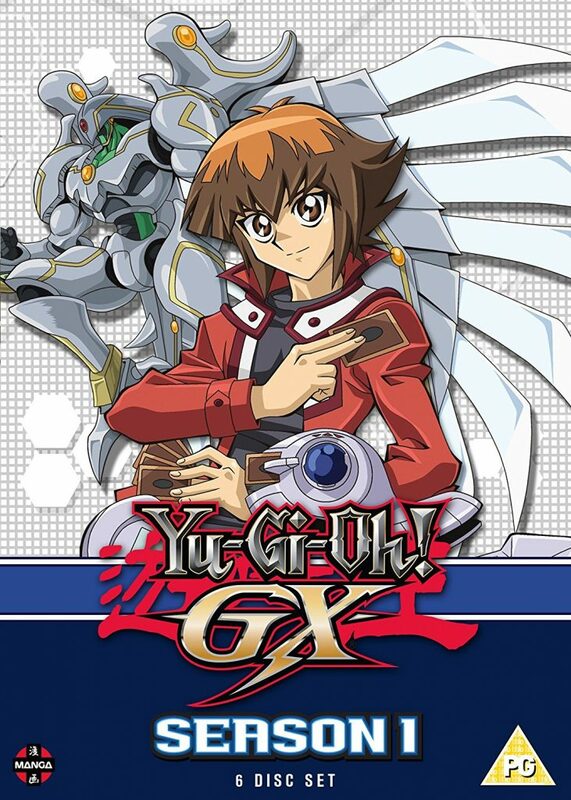 Is GX better than the original series? No, but it is fun and entertaining in its own way. Also, if you are annoyed by the fact you can’t listen to it in Japanese, there is a way to get around it: watch the series on Crunchyroll. The entire series is available to watch in original Japanese on the site.